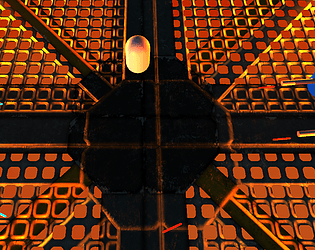 A 3d Arena Bullet Hell: Players must avoid the frantic blood sport whilst selling ammunition to both sides! Anything else you'd like to tell everyone. Sadly we were not able to include the audio assets created by Michael due to a build error that stretched the audio assets and instantiated them multiple times. However please do play the game with audio off just to make sure as we were still plagued with phantom sounds. Last moment build problems, what are you gonna do!